A very special blend of four NEUTRAL very high-quality Gemstones, famous Worldwide for its effectiveness and combination. Best mix of Gemstones, anybody can wear without any consultation etc! If you need your own preference of FOUR gemstones please call now! The benefit of black Aqeeq is that it creates joy in the heart, is good for eyesight and it helps illuminate sadness and anger. It is also revered in other religious and has been in use from the time of Adam. It absorbs the rays of the sun and passes these onto the body and is good for health. Black Aqeeq protects children from envious eyes. It is said that Imam Jaffer as-Sadiq (4th grandson of the prophet Mohammed(PBUH)) has said that a prayer with Aqeeq is 40 times better than one without it. It is also of a great thawab (reward from God) to use tasbeeh of aqeeq as mentioned in hadith said by Imam Musa e Kazim (5th grandson of the prophet Mohammed(PBUH). Black Agate brings the Great Spirit into one’s life. Attracts good fortune. Increases concentration and clarity. Promotes goodwill. Aids in overcoming flaws, fears, and loneliness. Has a calming effect during times of stress. Gives a sense of strength and courage. Pearl (Motee, Moti or Maraweed) increases both inner and outer beauty, facial lustre and charm. It reduces tensions, creates mental balance, peace of mind, tranquillity and calmness, enhances the power of love and understanding. 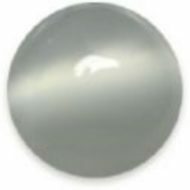 Pearl brings good luck, inspires love, eliminates melancholy, increases enthusiasm and vitality. The wearer of Pearl is blessed with marital bliss and conjugal happiness. Pearl is used to remove the ill-effects of the Moon. According to Astrology, the moon influences human mind very much. The Pearl gemstone should be worn by those persons who find themselves always in blows. Pearl gemstones pacify passions and mental inconsistency and strengthens the heart. The gemstone amethyst has a striking purple colour. And due to its magnificence, Amethyst was the most commonly used jewellery by the kings and queens of the yesteryears. Till now, it has been a great part of the British royal jewellery. Amethyst has come to be known as a power crystal with prolific healing powers which can be characterized as purifying, pacifying and transitional. Amethyst has the ability to transform lower energies into higher and acts as a healer at all levels of mind, body and spirit. The healing powers of Amethyst date back as far as the ancient Greeks who believed that Amethyst protected from the intoxicating effects of alcohol. The word “amethyst” is of Greek origin and is translated as- “amethystus” meaning not drunken, or intoxicated (“-methystos” from “methyein” or intoxicated, “methy” = wine). Amethyst semi-precious gemstones can assist with healing alcoholism, compulsive behaviours, and addictions of all kinds. An amethyst stone brings stability, peace, calm, and balance. The amethyst gemstone brings about courage and inner strength. They have been used to protect against psychic attacks. On the spiritual level, the amethyst stone helps open to communication with angels, telepathy and other psychic abilities. 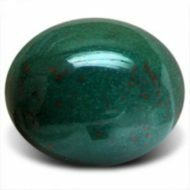 They are excellent stones for meditation or dream work, past life work, and can help you see your path. Topaz can have a good influence over the mind and soul. It helps one become more aware, happier, creative, improve one’s concentration, increases one’s intelligence and helps one have better clarity of mind. It helps improve wealth, relieves depression, and helps one avoid misfortune. Topaz can help those with dangerous jobs and can help make life more pleasant. It also helps a couple remain loyal to one another. Topaz works with the nervous system, relieves exhaustion, mental problems, and diseases of the solar plexus. It has been one of the major gemstones that are a part of the basis of 12 gates to the holy city of New Jerusalem. In ancient history, a falcon carved on a topaz was thought to impress royalty and was highly sought after. The Greeks felt that it symbolized strength and prowess. In the ancient world, topaz was also believed to ward off poisons, death and disease both mental and physical. It also was known to promote fertility in women. Ancient Romans offered the gem in dedication to Jupiter. 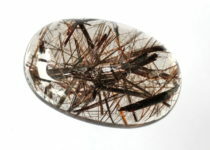 The old traditions hold that Topaz bestowed many benefits upon its wearer. It would relieve bad dreams, dispel cowardice, calm the temper, cure madness and plague, and sharpen the wit. It was thought to aid in sleep and eliminates nightmares, as well as cure rheumatism and soreness in the joints. The gem was said to instantly lose its colour to indicate that poison was present, thus protecting its owner.